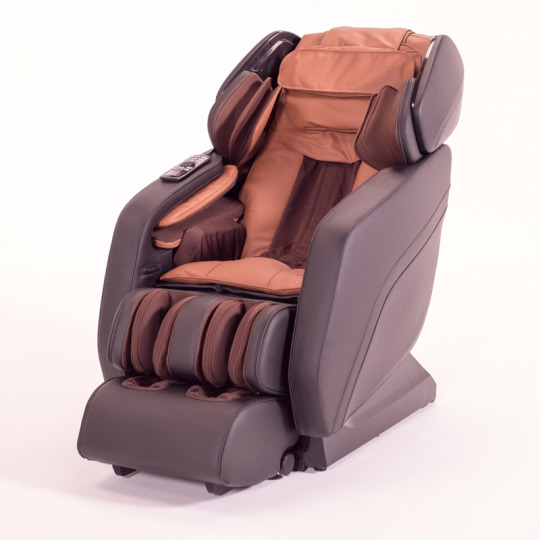 Zen Awakening’s Summit massage chair provides the ultimate full-body massage at your fingertips! Zen360 technology delivers air compression to relieve arthritis and stimulate blood circulation to your legs and feet. Summits HipShape technology revitalizes your waist, thighs and glutes with a compression massage. It begins with the comfort and warmth of ZenLeather, top-grain leather lining all of the Summit's seating area. And, it continues with the design of the ultimate leg and foot massage. CalfKneading gently kneads your achy calves, similar to a masseuse, providing recovery and relaxation. And, Zen360, delivers air compression around your heels, toes and the top of your feet relieving arthritis and stimulating blood circulation. The Summit also incorporates Zen Awakening's signature CalfMassage and FootReflex. And for your waist, thighs, and glutes, Summit's HipShape treats you to an ultra-relaxing compression massage that will revitalize some of your body's largest and most used muscle groups making you feeling like new! The Summit's compression massage continues through the body in the hands, arms, and shoulders! ShoulderCompress alleviates all of the aches and pains in your shoulder and rotator cuff. Beginning at your arms and continuing to your fingertips, Summit's air pressure massage, ReCirculate, produces a gentle calming as it improves blood circulation, while soothing carpel tunnel and arthritis. Finally, the Summit instantly puts your mind at ease with the ZenPillow, that conforms to the shape of your head. Paired with a Bluetooth Music player, you are instantly whisked away to your own faraway peaceful oasis. The full body air compression features are paired with Zen Awakening's 3D Advanced Soft MassageWave technology. The Summit delivers an amazing custom tailored back massage just like a real masseuse... every time! Featuring a LongRail track, the 3D Advanced Soft MassageWave hits every inch, from your shoulders down to the back of your knees! Don't forget ZenAwakening's famous YogaFlex! decompresses your spine and joints as it stretches your back, taking pressure off your vertebrae and soothing overworked muscles. During all of the action, the Summit's Zero-G position evenly disperses weight throughout your spine and elevates your feet, increasing circulation and reducing strain on your heart. And, our soothing HeatTherapy delivers indirect heat waves to your sore muscles and joints. VideoMap, Summit's high-resolution video remote control, allows you to easily select many therapeutic features... So simple, intuitive, and easily customizable. As always, all of Zen Awakening's models are backed with a limited lifetime guarantee. Run out to your nearest Zen Awakening dealer and take home your Summit today!